OpenLedger Decentralized Exchange and Obits – New Way to Trade Bitcoins and Make Money! For start guys.. you have to hurry up. I was supossed to write this post earlier but had been swamped. I will try to cut to the cahse but still there will be a bit of technical informations. There is some free money to be made and some bonuses to investments too – but my blueprint has to be kept or it will not work. If you dont want to give whole read to the article just go for last paragraphs step by step. Its a fully decentralized exchange using protocols of BitShares an Graphene. 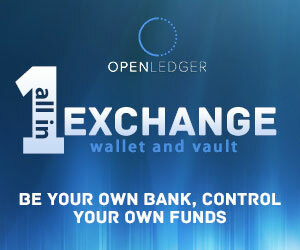 OpenLedger allows you to convert bitcoin to fiat-pegged SmartCoins instantly or by limit order. SmartCoins can be withdrawn directly to cash via NanoCard, PayPal, Ripple gateway or money transfer. Speaking shortly this is what everybody was waiting for – fully decentralized, multi signature with options of easy converts to cash and even Paypal to BTC or Bitcoin to Paypal. You can trade there currencies, gold, oil, cryptocurrencies and many more. I think there is not much need to explain while DEX (Decentralised Exchanges) are decent so this part i will live like this. (HINT – look at what happened to Cryptsy, MtGox and so on). OBITS gives ordinary retail consumers the chance to profit from the wild swings in price characteristic of the digital currency markets without requiring a deep understanding of the markets. So this currency/token is a way of empowering the average user to profit from the markets without a comprehensive background either in trading strategies or blockchain technology. By holding Obits you are getting shares of OpenLedger profits and also you can just buy them and sell on their exchange or.. buy them now in pre sale and have them bought back from you by the exchange this february – when they do final buyback. All coins that were bought back will get destroyed. People trading it may do it for various reasons – they buy low initially and sell again higher to once again buy back up and down. 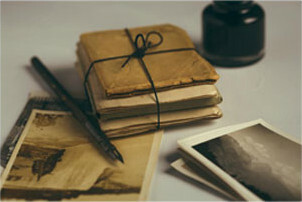 as will as the added new projects offering new profits to the OBITS portfolio. How to Use OpenLedger and Invest in Obits ? 1. Open account on OpenLedger with this link (its a must to follow it for bonuses). 3. You just got some 1000 free QBITS, a currency based on QUORA that later on will be expanded. 4. Go to Obits website and buy minimum of 500 OBITS, use promo code “freeobits” and you will get 25 OBITS extra on top of them. You can sell them right away on the buyback or keep to yourself. HAPPY NEW YEAR. DROP BE MONEY FOR BEER! Subscribe to out mailing list – Get FREE EBOOK and Unique Tips!